JanSport is experimenting with a high-tech backpack to give teens another way to express themselves. The company has developed 300 backpacks with programmable fabric, allowing users to share a song, music video, a Facebook page or Internet link with anyone nearby. The prototype acts as a backpack patch for kids of the digital age; rather than sowing one on to advertise a favorite band, it could direct others to a YouTube clip of an artist. The concept comes from MIT professor Yoel Fink, who is also CEO of Advanced Functional Fabrics of America. The project is a part of an effort to reinvent fabrics as programmable devices. 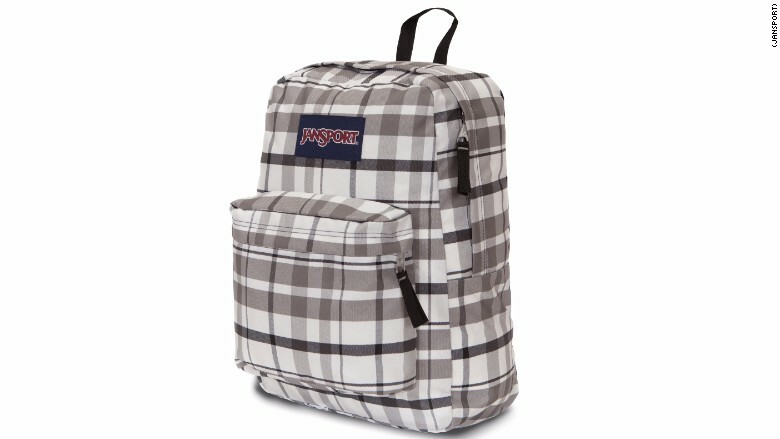 The smart fabric features JanSport's typical crosshatch pattern, but there's more than meets the eye. When a person opens the iOS app AFFOA Looks and points a smartphone camera at the backpack, a piece of content uniquely associated with it will launch. Fink envisions one day the backpack could send you an email when it's lost. A misplaced backpack could be scanned via the app to identify and contact the owner. The technology is similar to a QR code but blends into the the fabric design. 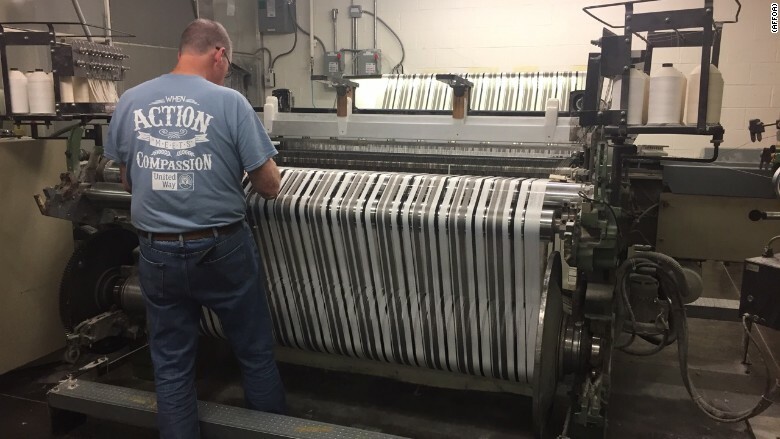 When each backpack is made, the threads are arranged in a unique pattern. That distinct style of stitching allows each backpack to be identified by the smartphone app. Steve Munn, president of JanSport - Americas, told CNN Tech the technology could fundamentally change a backpack's functionality. "A [backback is a] place to put something to eat, something to drink and something to wear -- [that's] what's most important," Munn said. "Now, it becomes potentially an avenue for social interaction." 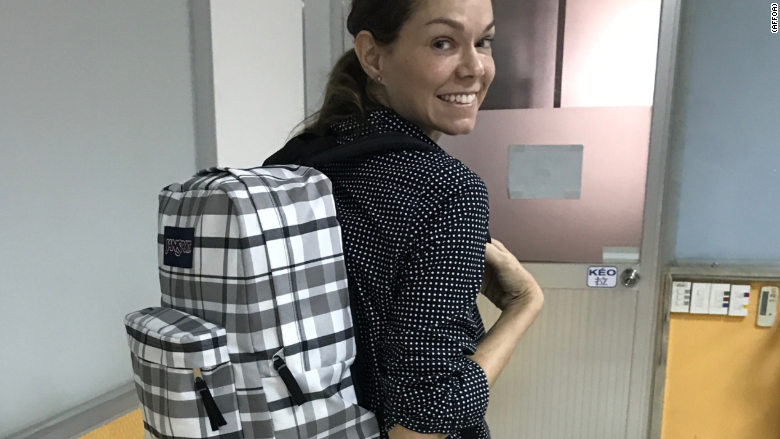 Munn said he's often approached by vendors wanting to add complex gimmicks to backpacks, but he was drawn to this technology because of its simplicity: The backpack has no wires or batteries, yet still connects with the digital world. 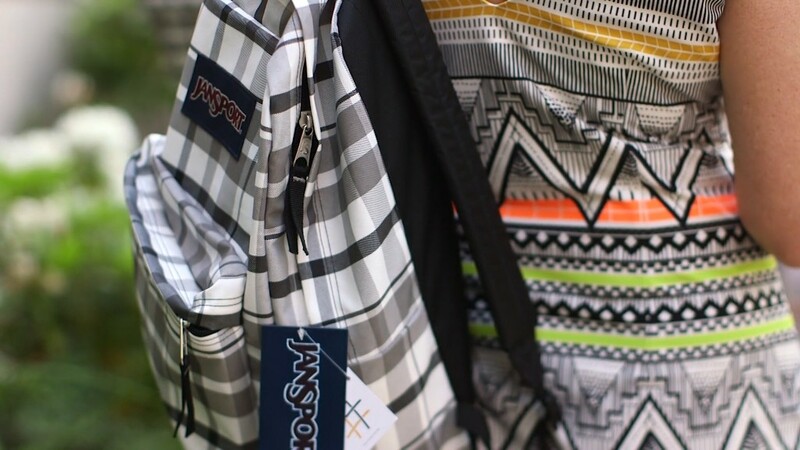 There are no guarantees JanSport will sell these backpacks, but Munn said the earliest the technology could be incorporated into JanSport backpacks is in 18 months. The company, which gave away the 300 backpacks at an MIT event on Monday, hasn't considered potential pricing. There's growing interest in how technologies can be incorporated into clothing. Google generated buzz last year with its Project Jacquard technology, which weaved a touchpad into the sleeve of a Levi's jacket. Other companies, including Samsung, have also experimented with smart fabrics. Fink and Munn have also discussed more ways to bring personalization to backpacks, such as the ability for them to change colors each day.